Five London medical centres have joined forces to become Europe's largest academic health science partnership. The five centres are University College London (UCL), Great Ormond Street Hospital, Moorfields Eye Hospital, Royal Free Hampstead and UCL Hospitals. It is called UCL Partners and will have more than 3,500 scientists with a combined annual turnover of about £2bn. 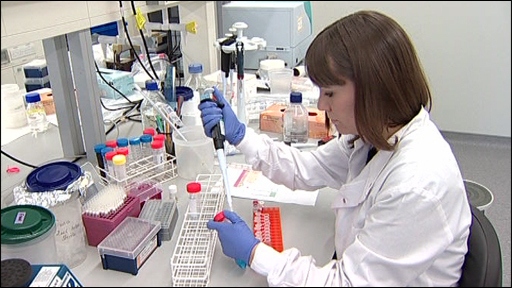 It will initially focus on 10 medical research areas, including cancer and children's health. UCL Partners said that pooling resources and expertise will enable more world-class research in key areas, delivering the benefits more rapidly to patients around the world. The five partners together treat more than 1.5m patients each year. Malcolm Grant, President and Provost of UCL, said: "The creation of this partnership is a landmark in the history of medical research in the UK, and particularly relevant in the 60th anniversary year of the NHS. "The combined skill, expertise and knowledge of our five organisations promise to deliver to patients the benefits of cutting edge research at its best as quickly as possible." Professor Sir Cyril Chantler, Chairman of Great Ormond Street Hospital for Children NHS Trust, said: "London needs to strive to lead in health, a world class city should settle for nothing less. "UCL Partners has the capacity and potential to work together to make this happen." UCL Partners will become operational from September.